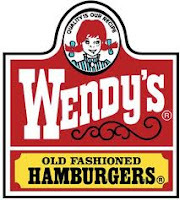 Frieda Loves Bread: Wendy's Giveaway Winner! Thank you everyone, for participating in this giveaway! I enjoyed reading all your comments. 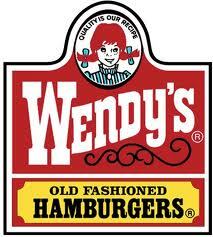 It seems like there are a lot of people who enjoy going to Wendy's for their Frosty's! Let me share a secret. Sometimes, I'll get their side Ceasar Salad (comes with dressing, croutons, and bacon bits) and their dollar chicken nuggets. I'll cut up the nuggets and toss 'em in the salad and presto ... a small crispy chicken salad that is perfect for me! Comment #7 is Amanda, who said, "It's all about the frosty. I'm a total sweet tooth!" Amanda is the creative genius behind the blog, "Simply Homemade." She has a knack for sewing some darling things! Congratulations, Amanda! I'll be contacting you for your mailing info! Now, you can STILL try their new fries for FREE! Go HERE and you can print off a coupon for a free small fry. One coupon per person, photocopies are not accepted. Valid at participating Wendy's only. Offer expires January 1, 2011. 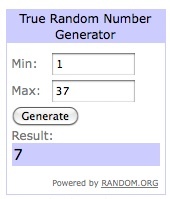 Dang it - I missed your giveaway. But I'll be getting some free fries. Thanks for the tip!